When most people think of smoked meats and which states reign supreme making it, they think of the Southern United States. When it comes to anything beef-related that is smoked, Texas wins hands down. While I admit, the BBQ is so much better in Texas, one thing Wisconsin does dominate Texas (and the other states) is beef sticks. 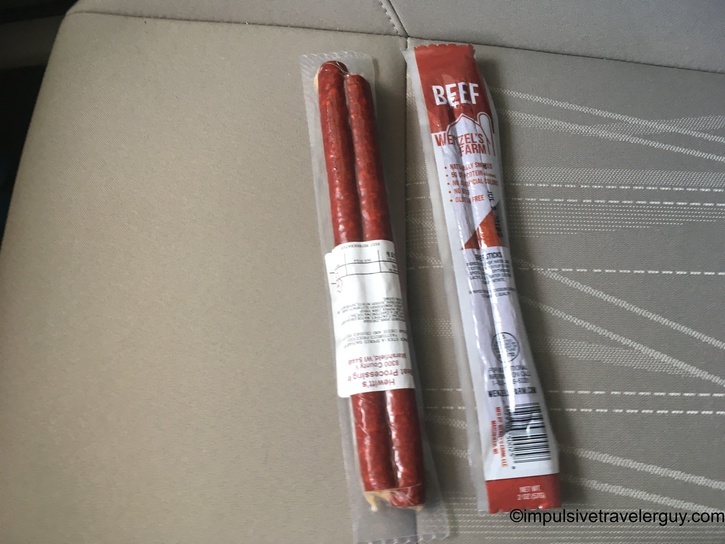 Beef sticks are essentially summer sausage, but instead of being fat and round and something you slice into pieces, they’re long and skinny and you eat them like you would a candy bar. Now I’ve looked for beef sticks around Texas, and they just don’t have the flavor that they do in Wisconsin. They’re a lot drier and tougher. I know the way the beef sticks I like in Wisconsin originated from the German immigrants who settled the area. The flavor is distinctly smoky and the texture of the meat is a bit softer and not tough. Many times I will bring back food from my trips and take it to work for my coworkers to try. In this specific case, I brought some Wenzel’s beef sticks back from Marshfield. They proved to be a hit with my coworkers to the point that one of them actually put in an online order with Wenzel’s to have some shipped to Texas. If that isn’t saying something, I’m not sure what is. I know I love to eat beef sticks, especially the ones made around Marshfield. 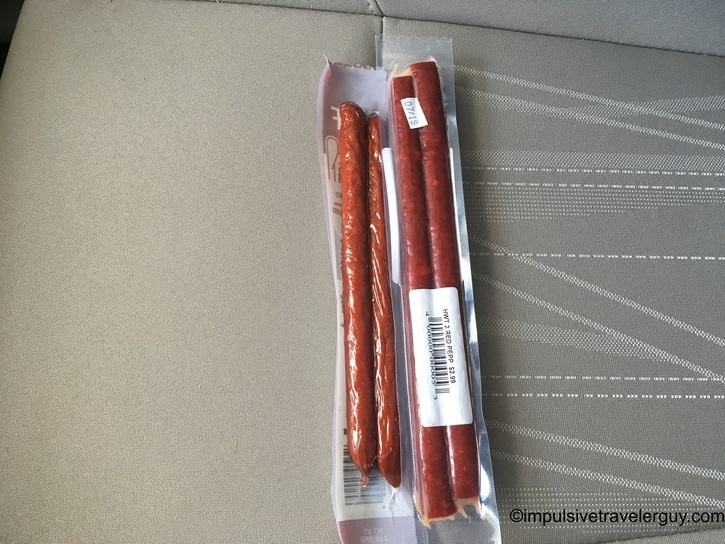 Growing up, when my dad would get gas, instead of him buying us candy for a treat, he’d each get us a beef stick (they actually will sit on the counter in many convenience stores). In the pictures above, one of the beef stick packs I bought was from Wenzel’s. The other was from Hewitt’s Meat Processing, which is down the road from my parents. There’s a ton of meat processing places around Central Wisconsin that make their own variety and every time I visit Marshfield, I always have to buy some to get my fill. Now I’m going to be on the lookout for good beef sticks in Texas. There are some heavily German areas of Texas, so I’m guessing I might be able to find something similar to what I like in Wisconsin. I’ll just have to do more exploring. In the meantime, I’ll have to settle for jerky, other smoked meat like BBQ (which Texas owns Wisconsin here), or I’ll have to be like my coworker and place an online order to get my fix.